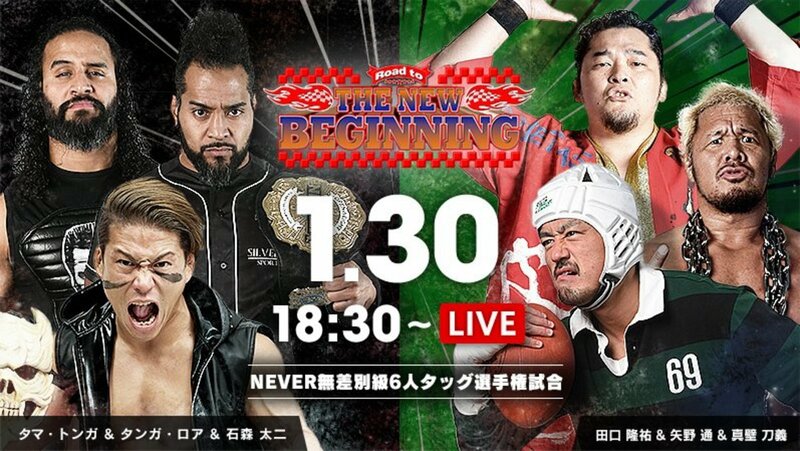 Here are quick results from this morning's Road to the New Beginning show in Miyagi, featuring a NEVER six man tag team title change. Umino scored the win over Tsuji with a fisherman’s suplex. Tiger Mask pinned Narita with the tiger driver. Desperado ran in and attacked Takagi as he was going for the Last of the Dragon. BUSHI ran in and took out both Kanemaru and Desperado with a double hurricanrana, which led to the next match. Desperado was disqualified after unmasking BUSHI. Tanahashi scored the win after a high fly flow on Yujiro. Sabre Jr. pinned EVIL with the European clutch. Taguchi submitted Ishimori with an ankle lock to win the titles for his team.